Residency time at these locations was spent interviewing local farmers. 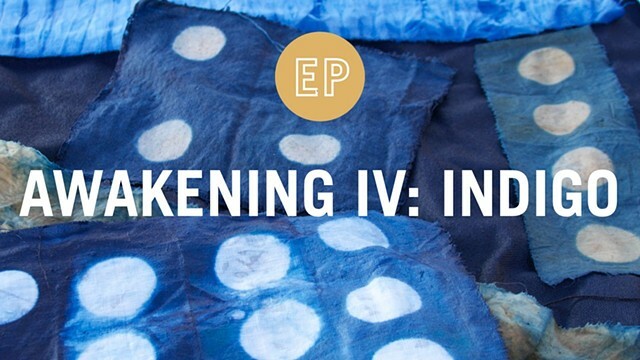 Personal art making involved painting, printmaking, installation pieces with agricultural materials, creating natural dyes and pigments from plant material, weaving, sewing, paper making, photography, cyanotype and writing. 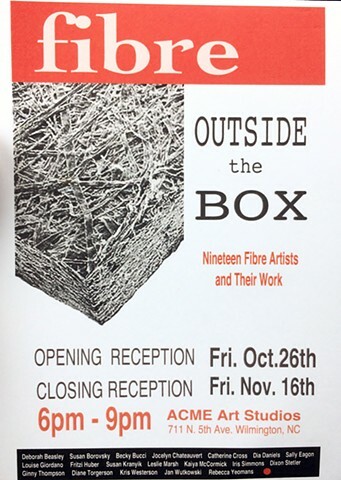 Two residencies were to prepare for a two gallery solo exhibit at Salem College, Winston-Salem, NC (Fall 2016 through January 2017). 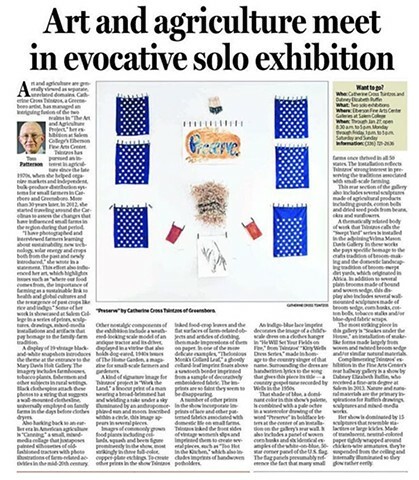 Cape Fear Center for Inquiry, Wilmington, NC, May 2018 through May 2019, The Art and Agriculture Project. 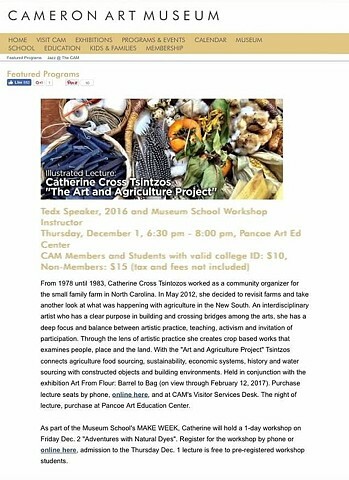 The Artscenter, Carrboro, NC, Two weeks, May 2018, The Art and Agriculture Project. 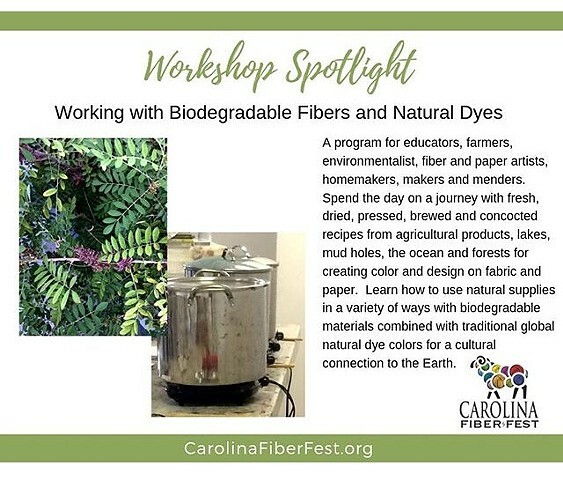 Invited Speaker, The Art and Agriculture Project - The Indigo Trail and Workshop Presenter. 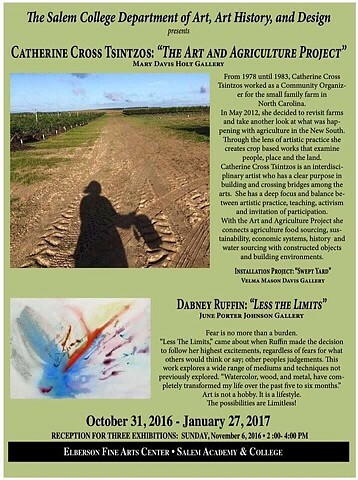 The Art and Agriculture Project, Salem College, Winston-Salem, NC, October 2016 through January 2017.